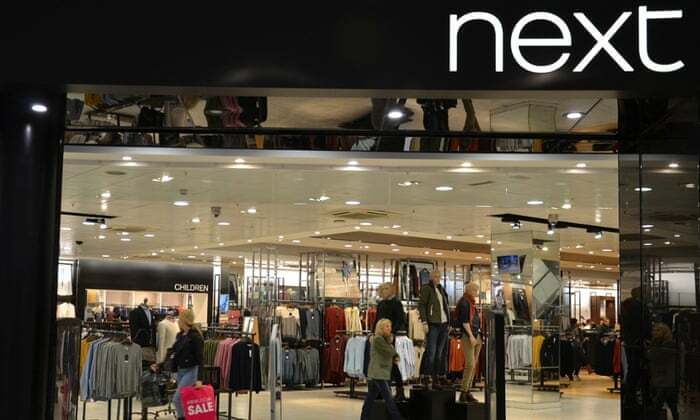 Next has been accused of bullying workers into giving up overtime pay for working on a Sunday. The fashion and homewares retailer, which employs more than 52,000 people, wants about 800 shop workers to give up the premium they are currently entitled to, worth up to £20 a week or £1,000 a year. The workers all joined the company before 2008, when Next stopped offering a Sunday premium to new staff. In March, they were involved in a consultation on changes to their contracts. The GMB union said the staff rejected these, but Next said 99% of them accepted. The company said that as a result, all employees are now being moved on to contracts under which they do not receive extra pay for Sundays. Staff members that do not accept are to be made redundant. Next said it had offered compensation equal to one-third of the Sunday premium that staff earned over the past year to those who make the change. Next’s chief executive, Lord Wolfson, last month pledged to raise shopfloor wages by at least 5%. After months of pressure from workers’ rights groups over pay in its stores, Wolfson offered to share his bonus among staff if there was a shortfall in funding. The Tory peer, who was paid £4.66m in cash and shares last year, including a £1.1m bonus, said the wage rate would rise from £6.70 an hour to £7.04 in October, or £7.58 including bonuses. He said a combination of increased wage rates and longer contracts meant that the average staff member earned 33% more than two years ago. Posted on May 12, 2015, in #retail, #uk, How not to do retail ..... Bookmark the permalink. Leave a comment.